Sandwich is the classic dosa that you know and love, made into a sandwich. These are easy to make and great for snacks lovers. Pani Puri Paper Dosa having a taste of Pani Puri made up with Rava and Besan Flour, Butter, Iodized Salt and PaniPuri Spices. Pani Puri Paper Dosa is very Delighting in taste that will make you eat it again and again. Totally Crispy Sada Paper Dosa best to have with Tea, Coffee, Soft Drinks and Chatni etc. 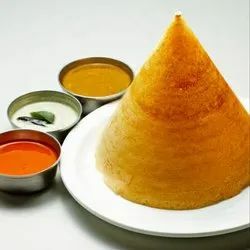 A masala dosa is a south Indian delicacy made by stuffing a dosa with a lightly cooked filling of potatoes, fried onions and spices. Family Pack: Serves a Family of 4 The mini version of the Authentic South Indian breakfast for every family member to cherish in full. They are the traditional crispy, pancakes with stuffed bright-yellow potatoes in small portions, a true treat for all. 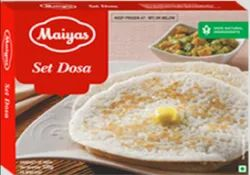 Magicdosa Maker is our Invention for all the Restaurants / Hotels / Dosa Joints / Dosa Cafes / Dosa Food Trucks - Run your Dosa Business without Dosa Chef / Dosa Master. Easy to Operate and Easy to maintain - Simple and Cost Effective.